Text representations in text classification usually have high dimensionality and are lack of semantics, resulting in poor classification effect. 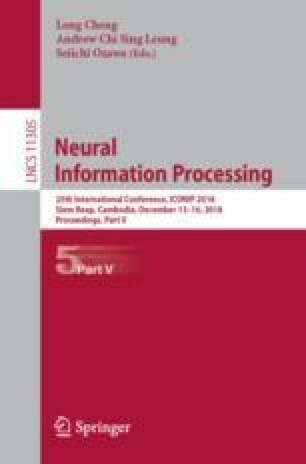 In this paper, TF-IDF is optimized by using optimization factors, then word2vec with semantic information is weighted, and the single-text representation model CD_STR is obtained. Based on the CD_STR model, the latent semantic index (LSI) and the TF-IDF weighted vector space model (T_VSM) are merged to obtain a fusion model, CD_MTR, which is more efficient. The text classification method MTR_MCNN of the fusion model CD_MTR combined with convolutional neural network is further proposed. This method first designs convolution kernels of different sizes and numbers, allowing them to extract text features from different aspects. Then the text vectors trained by the CD_MTR model are used as the input to the improved convolutional neural network. Tests on two datasets have verified that the performance of the two models, CD_STR and CD_MTR, is superior to other comparable textual representation models. The classification effect of MTR_MCNN method is better than that of other comparison methods, and the classification accuracy is higher than that of CD_MTR model.